Last weekend I finished up a few video tutorials that I've been wanting to create for awhile. For now they are just the basics but I plan on getting a bit more advanced with them and eventually sharing all the tricks I use in my photography. Hopefully this month I'll be able to make a completely HDR photography tutorials that cover every little thing about HDR. It seems to be a hot topic in the photography tutorial land and I've never been able to find really good and detailed HDR video tutorials that are free and made by people that actually produce consistent good HDR photos. And I refuse to pay for a tutorial since I believe knowledge should be free, so I've spent much of this last year learning HDR photography on my own and now I want to share it with new photographers looking to get started with this type of photography. So that means all my tutorials will be free and they will be awesome. So for now you can find them on my Photography Tips page. Have fun! 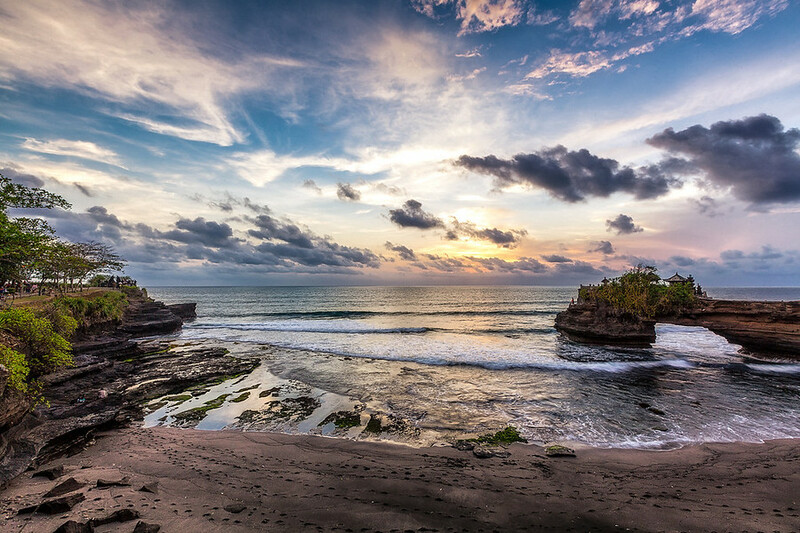 Batu Bolong is just West of Tanah Lot which is the famous temple in the water of Bali. It seems there are temples just about everywhere in Bali. I'd like to see more of Indonesia one day. It's such an awesome country. If you ever go there you'll want to spend a full week. It's not the type of place where you can just stop by for three days. There is just too much stuff to do and see.